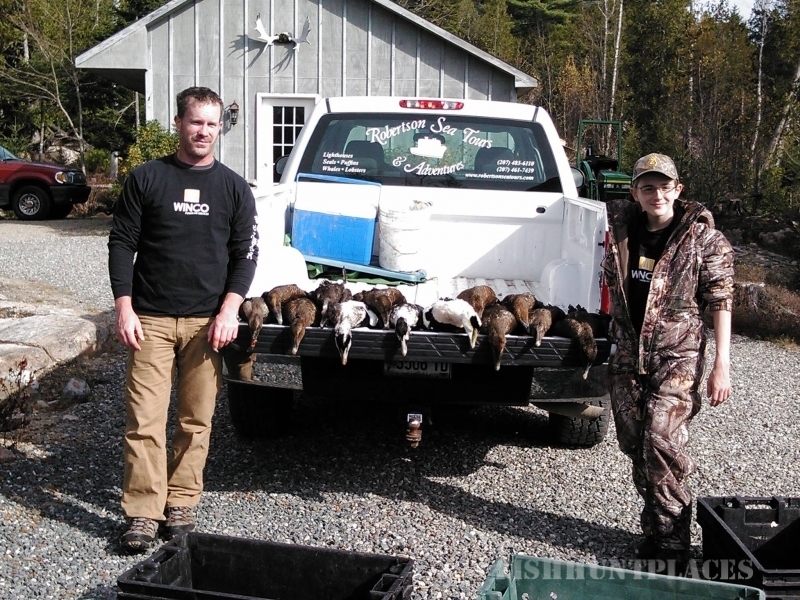 Hunting in United States Maine Eiders Down, Inc. 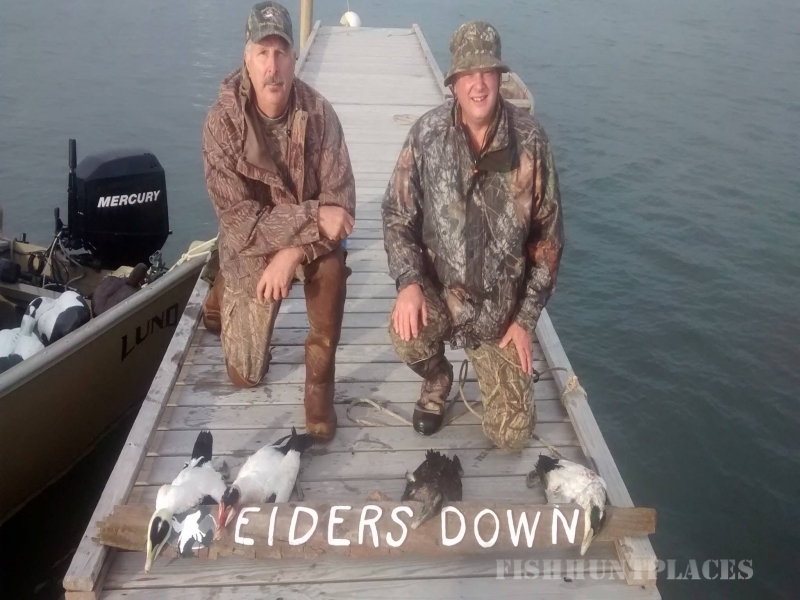 Hunting in : United States : Maine : Eiders Down, Inc.
Eiders Down, Inc. offers professional guided sea duck hunting in the unparalleled natural beauty and remoteness of Downeast Maine. The countless islands and rugged glacier-carved coastline provide the primary breeding and nesting area of Eider ducks. Vast mussel beds also make the region home to Scoters and Longtail, also known as Oldsquaws, and we are not dependent upon migratory birds for any of these species. Migratory birds begin gathering on the Maine coast in early October and into November, providing exciting late fall shooting. November and December is peak time for Goldeneye and Black duck. Your daily limit is seven sea ducks of which four can be Eiders. It is rare that hunters fail to get their limit every day they hunt with Eiders Down. 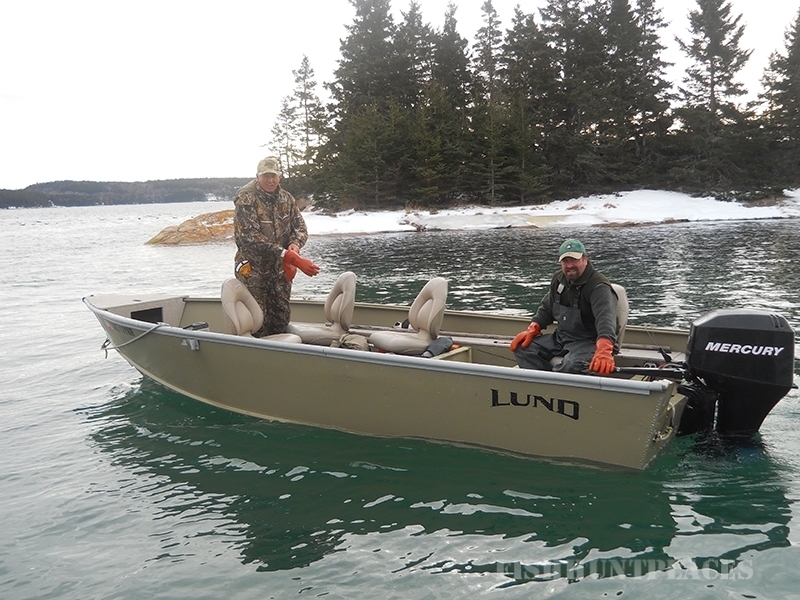 Maine’s islands and ledges offer sea duck hunting at its best. 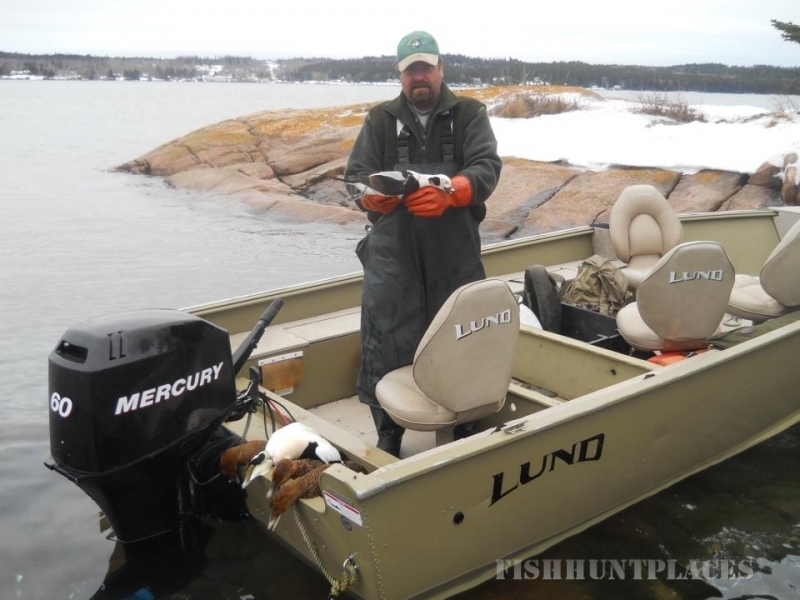 All sea duck hunting depends on several factors including weather, moon phase and migratory movements. Successful sea duck hunting also requires the planning, preparation and hard work that are Eiders Down’s trademarks. Still, we firmly believe that you should not measure the quality of your Maine duck hunting by the number of birds you kill. You should measure it by the quality of the total experience you had in this awe-inspiring place.